Celebrating its 20th anniversary, Pokémon releases its seventh entry into the Pokémon video game series with Pokémon Sun and Moon this Friday. 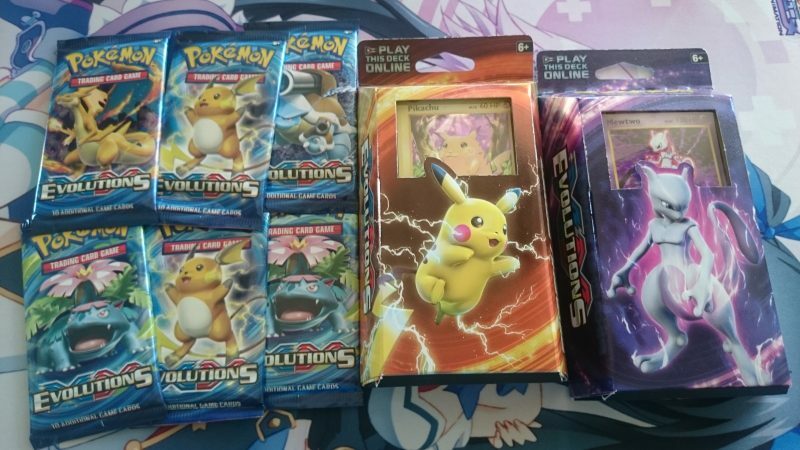 Earlier this month, The Pokémon Company released the latest set of the Pokémon Trading Card Game with Evolutions which features not only brand new cards to add to your decks, but also reprints of various cards from the original TCG packs. Let’s crack open a few packs and see what we pull…Hopefully an old school Charizard! We are also giving away one of the two theme decks. One lucky winner will have the chance to get either the Mewtwo Mayhem or Pikachu Power Theme Deck. To enter, just post your favorite Pokémon in the channel. One lucky winner will be selected on November 25, 2016. Winner will choose which theme deck they would like. Winner must be located in the United States.